Globber MyFree 2C 3-wheel kick scooter designed for the youngest riders, My Free is ideal to develop balance and help your child learn to ride and master the scooter, with its low foot rest, steering lock, the height-adjustable handlebars ...	Read More..
Globber MyFree 2C 3-wheel kick scooter designed for the youngest riders, My Free is ideal to develop balance and help your child learn to ride and master the scooter, with its low foot rest, steering lock, the height-adjustable handlebars and power-assisted steering. Available in Red, Green, Blue and Pink. Buy a Decks & Scooters gift card to spoil someone with a great ride! 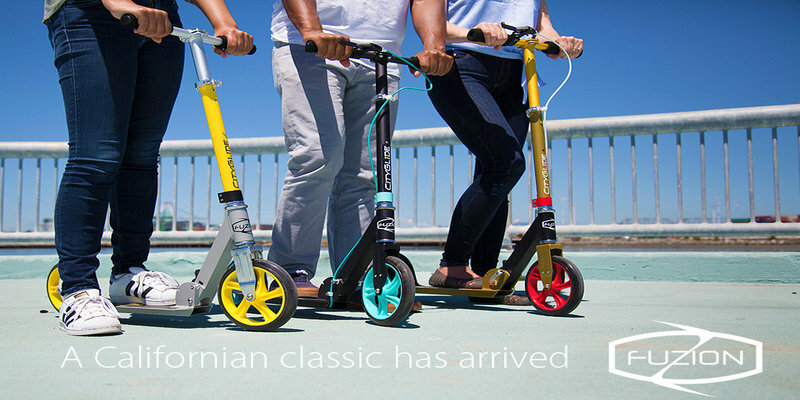 Being one of Singapore's specialist distributors of the oh-so popular kick scooters, electric scooters and skateboards from international brands, buyers can rest assure to get the best of the best, as Decks & Scooters won't sell anything their expert team doesn't enjoy riding themselves. Their wide range of products are carefully selected and tested and based on quality and design. This is the perfect retail gift for both kids and adults!